Honor the Newtown victims by supporting groups working to end the outrageous levels of violence in our society. I was gearing up for the happiest task of the year, my annual holiday donations column. Then came the massacre at the Sandy Hook Elementary School—twenty little children and six teachers, murdered in minutes by a heavily armed, disturbed young man who had just killed his mother. It’s heartbreaking. Will we ever get serious about gun control? Will we ever find good ways to help families with seriously troubled kids? Will we ever talk honestly about why it’s overwhelmingly boys and men who commit these atrocities? Or why these crimes are so much more common in the United States than anywhere else? Let’s make this tragedy the turning point in the way we talk, or don’t talk, about our outrageous levels of violence. Meanwhile, hug your kids, reach out to your neighbors and be as generous as you can. 1. Violence Policy Center. This nonprofit focuses on research, education and advocacy on gun violence. I don’t usually recommend policy groups in this column, but we need this! Check out its website, which is chock-full of important information. Did you know there are more than ten US murder-suicides every week? And that, contrary to popular wisdom, the gun-owning percentage of the population is on the decline? Help the VPC fight for a safer, more peaceable America. Violence Policy Center, 1730 Rhode Island Avenue NW, Suite 1014, Washington, DC 20036; VPC.org. 2. Youth Guidance. 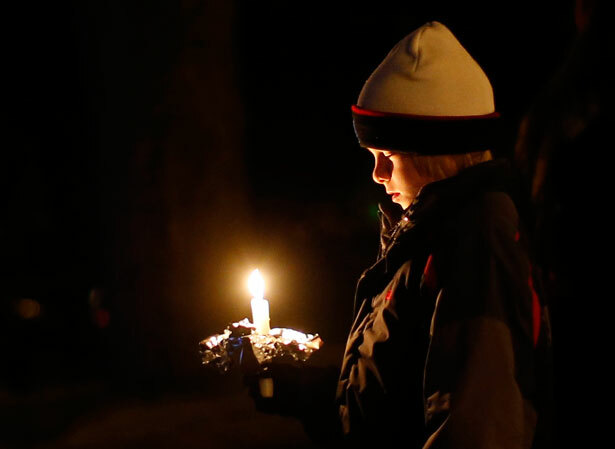 Spectacular violence like the Newtown massacre shouldn’t make us forget young people who struggle every day with poverty and the violence it engenders. This Chicago-based nonprofit helps low-income inner-city kids stay on track with counseling, after-school programs and tutoring, with help for parents, too. Youth Guidance believes every child can succeed. Don’t you? Youth Guidance, 1 North LaSalle Street, Suite 900, Chicago, IL 60602; youth-guidance.org. 3. Occupy Sandy. These dedicated volunteers may be the best thing to come out of Occupy besides the brilliant framing of “We are the 99 percent.” While official agencies dither and delay, it’s helping the people of the Rockaways and other struggling areas rebuild their houses and neighborhoods. Check out the latest and donate at interoccupy.net/occupysandy. A quick way to help is by buying items on its Amazon “wedding registries,” which list everything from face masks and brooms to heaters and diapers; interoccupy.net/occupysandy/wedding-registries. 4. Afghan Women’s Fund. Led by the heroic Fahima Vorgetts, for ten years AWF has built schools and provided them with teachers and supplies; set up and stocked clinics; and organized women’s councils, literacy classes and income-generation projects in Afghanistan’s poorest regions. Did I mention that they also dig wells? Afghan NGOs are famous for waste, but this all-volunteer group really knows how to stretch a dollar. Send yours to AWF c/o Jean Athey, Box 1563, Olney, MD 20830; afghanwomensfund.org. 5. Road to Recovery. Members of this Israeli group are ordinary people who drive sick Palestinians from the occupied territories to hospital care in Israel, sparing them trouble and delay at checkpoints. This is an all-volunteer humanitarian effort that could use help paying for gas, which is very costly there. Checks to Yuval Roth, Road to Recovery, Hatlalim Street 4, Pardes Hana 37021, Israel; roadtorecovery.org.il. 6. The Bronx Freedom Fund. Prosecutors use bail as a tool to force guilty pleas—but what if you’re innocent? The BFF bails out poor people charged with misdemeanors and nonviolent felonies. Results? Typically, 95 percent of defendants who are unable to post bail plead guilty, but of the 200 people helped by the BFF between 2007 and 2009, more than 90 percent made all their court appointments, half had their charges dismissed, and not one ended up convicted of the original charge. The Bronx Freedom Fund, 860 Courtlandt Avenue, Bronx, NY 10451; thebronxfreedomfund.org. 7. The Doula Project. Having an abortion can be lonely and stressful. Doulas—trained to support, comfort and advocate for the patient—can help. The Doula Project is pioneering this model of abortion care, which is 100 percent free and founded on a philosophy that all pregnant women deserve respectful, compassionate care, whether they choose abortion, adoption or raising their child. This is what reproductive rights should mean. The Doula Project, Box 5172, Astoria, NY 11105; doulaproject.org. 8. Aid for Africa/World Bicycle Relief. Here bikes are for fun, but in Africa they can change your life—making it possible to get to school or take your goods to market or bring a health worker to your village. Since 2005, this group has supplied Africans with more than 60,000 extra-sturdy bikes and the logistical chain needed to maintain them. World Bicycle Relief, 1333 North Kingsbury Avenue, 4th floor, Chicago, IL 60642; aidforafrica.org/member-charities/world-bicycle-relief. 9. Health in Harmony. This nonprofit brainchild of the innovative Dr. Kinari Webb provides high-quality healthcare to impoverished Indonesian villagers in return for their help protecting the fragile Gunung Palung rainforest, threatened home of wild orangutans. Instead of humans pitted against nature, both win. Be part of this innovative approach to fighting poverty and ecological degradation, and help sustain a model for the future; healthinharmony.org. 10. Fill the Shelves. Ferocious cuts to public school funds have taken a big toll on school libraries—whose collections are tattered, outdated and shrinking. This website posts school librarians’ wish lists—buy a volume in the ever-popular Bone series for a Boston elementary school, or Eric Foner’s Reconstruction for an Alabama high school. And don’t stop with the holidays—bookmark the website for year-long donating as new lists are posted; filltheshelves.org.